Mexican Dance Masks collects information about the use of the service to provide a secure and personalized experience. This includes the customer’s name and Internet address, for those who send email messages or other information to us. When you provide content to mexicandancemasks.com, you grant mexicandancemasks.com a non-exclusive, worldwide, royalty-free, sub-licensable, transferable right and license to use, host, store, cache, reproduce, publish, display (publicly or otherwise), perform (publicly or otherwise), distribute, transmit, modify, adapt (including, without limitation, in order to conform it to the requirements of any networks, devices, services, or media through which the Services are available), and create derivative works of, such content, within this site. For any use beyond this site , further permission would be sought from you. We do not sell, rent, or loan your information to third parties without your permission. So, for example, we do not sell your email address or other information to mass marketers. 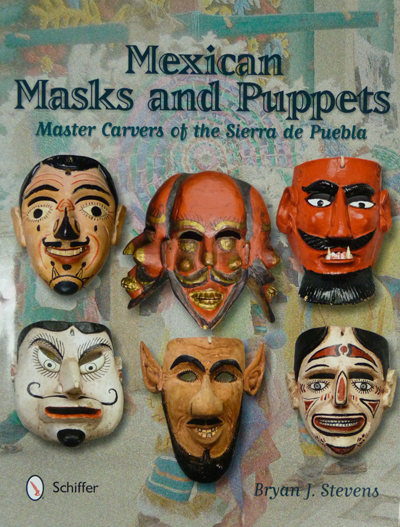 Mexican Dance Masks affiliates will be allowed to contact you with special offers and information related to products you have bought, shopped for or expressed interest in (the sale of masks on this site is something that may occur in the future, but not at present). In compliance with the Children’s Online Privacy Protection Act (COPPA), we do not knowingly provide our service to persons under the age of 13. For purposes of this policy “content” means a creative expression and includes, without limitation, video, audio, photographs, images, illustrations, animations, logos, tools, written posts, replies, comments, information, data, text, software, scripts, executable files, graphics, and interactive features, any of which may be generated, provided, or otherwise made accessible on mexicandancemasks.com or our partner sites. In the future we may use outside advertising networks and companies in order to display ads on this site. At present this is not our practice. Such ads might contain cookies and/or web beacons in order to collect data in the ad serving process. These cookies and/or web beacons would be collected by the companies and/or advertising networks.